The weekend is just around the corner, and it&apos;s a special one -- Independence Day weekend! The long holiday weekend makes it a perfect time to visit Hendricks County to celebrate our nation&apos;s birthday. We have a bunch of activities that will fill your weekend with family fun, including the pinnacle of most 4th of July celebrations: fireworks. The Brownsburg Lions Club doesn&apos;t fool around. When they celebrate Independence Day, they go all out and they celebrate for a week. The Brownsburg Lions Club 4th of July Extravaganza, Parade and Fireworks Display begins tonight and lasts through July 4 at Arbuckle Acres Park. There&apos;s a huge carnival, food, bingo, and a corn tent every evening, and on July 4, they host a parade at 10 a.m. and fireworks that night. The Brownsburg Lions Club has been doing this since 1966, and the parade is enjoyed by more than 10,000 people every year. This is a can&apos;t-miss event in Hendricks County, and it&apos;s in a beautiful setting. For more information, including a complete schedule of events, click here. 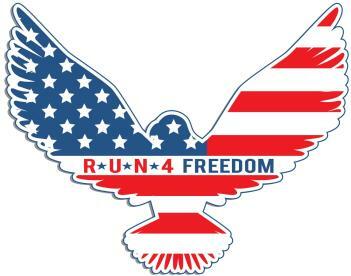 Runners and walkers, get your Independence Day started with the third annual Run 4 Freedom at Avon Town Hall Park on July 4 at 8 a.m. Run or walk a four-mile or one-mile course, and earn prizes if you&apos;re a top-three finisher in one of several age categories. Register by midnight July 3 to participate for just $25 a person. Military veterans and first responders receive a $5 discount. The annual Pittsboro Freedom Celebration will be held at Scamahorn Park in Pittsboro on July 4, beginning with a parade at 2:30 p.m. After the parade, enjoy a fish fry, live music, vendor booths, a Little Mr. Firecracker and Little Miss Sparkler contest, games and activities and more. Just before 10 p.m., the National Anthem will be played followed by a fireworks display. Hummel Park&apos;s Annual 4th of July Fireworks Extravaganza is always popular, and it begins at 5 p.m. on July 4 at Hummel Park in Plainfield. This extravaganza features carnival food vendors, bounce houses and games, face painting, airbrush tattoos, live music, fireworks and more. Local band "The Outcasts" will perform live from 5 to 7:30 p.m., with various covers of many favorite songs. For more information about the Extravaganza, click here. Then the Hendricks Symphony Orchestra and Chorus perform at Hummel Park at 7:30 p.m. for the Fest on the 4th. Under the direction of Benjamin G. Del Vecchio, the symphony will present patriotic favorites that include America the Beautiful, Battle Hymn of the Republic and Salute to the Armed Forces. They&apos;ll wrap up the evening with the 1812 Overture, Star Wars and Pirates of the Caribbean. This event is free to attend. For more information, click here. The evening culminates in a fantastic fireworks display over the park. On July 4 from 6 to 10:30 p.m., come out to Danville Community High School for the Danville Family 4th Fest. This free family-friendly event boasts all sorts of games, activities and music to enjoy as the evening progresses. Food and beverage vendors are onsite, too. At a little after 10 p.m., the fireworks show begins, so be sure to bring your lawn chairs and blankets. 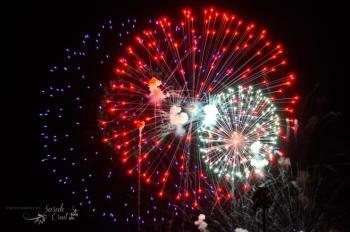 My family has attended the Danville Family 4th Fest several times, and it never disappoints -- including the fireworks. Looking for a little different way to celebrate Independence Day? Then come out to the Danville Music Palace on July 4 at 7:30 p.m. and enjoy the live jazz of Joe Herr and the Blue Saloon Band during A Night of Jazz Concert. For a $10 donation to the Hendricks Regional Health Foundation at the gate, you can bring your own chairs and drinks and bask in an evening of great music before watching the fireworks show from the nearby Danville Family 4th Fest. Kids ages 12 and under are free. This is not, by any means, a comprehensive list of what&apos;s taking place in Hendricks County this Independence Day weekend. To see even more places to go, things to do, and people to see in Hendricks County, visit our events calendar.